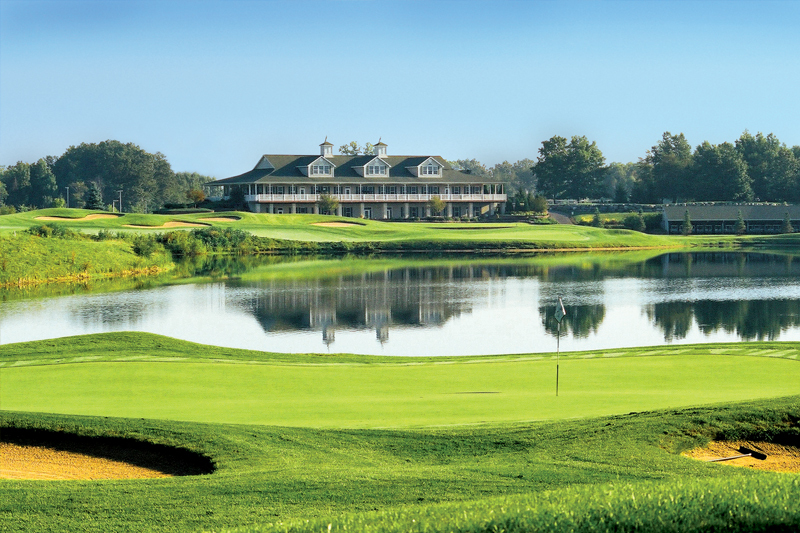 BATH – Hawk Hollow Golf Club features 27 holes designed by Lansing-based course architect Jerry Matthews, and it is one of the area’s most popular venues as part of the Hawk Hollow properties that also include Eagle Eye and Woodside. Hawk Hollow properties have hosted several GAM championships and this week will play host to the 17th Michigan Net Amateur Championship presented by Michigan Golf Live Tuesday and Wednesday. A field of 72 golfers will play with their USGA/GAM Handicap Index (maximum 20.4 index) for two rounds of individual stroke play over two days to determine a champion. Hawk Hollow has been rated 4 ½ stars out of 5 by Golf Digest and has been listed among the top 200 Places to Play in the country. The 27 holes were designed across 500 acres featuring parkland style holes as well as some links looks with classic bunkering and use of water hazards. Luke Thode is the director of golf and Jeff Zeman the superintendent. Depending on the nines played the yardages can be as much as 6,974 yards or as little as 4,934 yards with all holes featuring multiple tee options for set up. The Net field will be playing it at about 6,200 yards. Learn more about the many facilities of Hawk Hollow at hawkhollow.com. Last year Chad Wilson of Midland won a three-hole aggregate score playoff to turn back Dustin Ross of Garden City at Plum Hollow Country Club in Southfield. Wilson is not in this year’s field, but four past champions return in Steve Szymanski of Rochester Hills, who won in 2014, Rick Ihrke of Oxford, who won in 2010, Mike Brown of Marshall, who won in 2007 and 2008, and Geoffrey Bailey of Warren, who won in 2005.